wednesday wined up. on thursday. because things. you guys – i made friends with a redneck at work today, and at one point we shared a plate of fried chicken and then did the running man in the server station. also the dishwasher, this linebacker of a man (think the lead in “the blindside”) calls me “Hollywood” when I drop dishes, and i think he’s trying to flirt? its adorable. I’m gonna like this job. one day, my coworkers and i might be close enough to take selfies!!! I’m always hoping one day i can spell wednesday without having to say “wed-nes-day” out loud while sticking my tongue out. today is not that day. so my shoulder is feeling slightly better – a little alive/icepack/pinot grigio cocktail is helping a lot right now. i went to the chiropractor doctor guy yesterday at my cross fit gym place (i just can’t call it a “box.”) and – here’s a life tip – if you’re going to take off your shirt and torque your body all around to get examined and adjusted by a 6’4 former Marine Corps current hunk of cross fit man that you see three times a week…go ahead and shave your armpits first. the nice thing about the broken arm situation is that it makes dieting a little easier. try eating a salad with your left hand. about half will fall on the floor for your roommate’s useless and demonic cat to not clean up like a perfect dog would. anyway, got adjusted, and it was amazing. the sounds, the feels, the relief. and then he put some super cool tape on my shoulder, which made me feel slightly better about being the cripple in class that was swinging a baby kettle bell. back to job – this is gonna be such an awesome restaurant. the space is a converted 7-up bottling factory, and they have retained a lot of the architecture. the management is obsessed with the food and the culture of barbecue, which, turns out, is a science and an art form in north carolina, with distinctive styles in practically every county. all i know is that i want my last meal on earth to be from here. 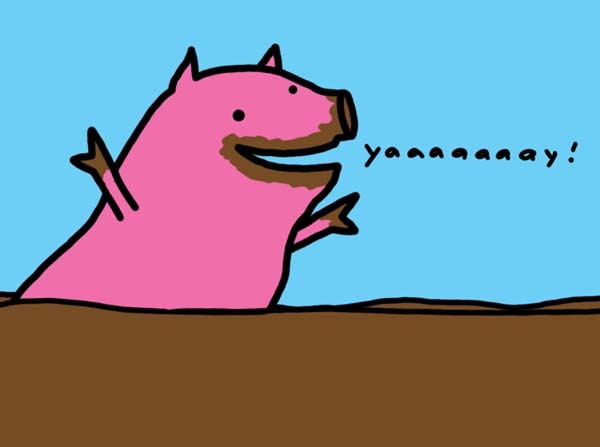 happy pig! then you ate it. just when you think you’re alone on the trail and it’s safe to pee, a running group. “why you gotta be so mean?” – me, singing to Candy Crush. Big Saturday night over here, guys. i think i spend about fifty percent of my life trying to find a bathroom. probably my favorite place to have an emotional break down is a dressing room. sometimes i look up and realize i’ve been parked in my driveway scrolling through twitter for forty minutes, and not it’s dark and scary outside. wishing – for more friends in durham. I’m hoping the people at my work will be my friends. i would pay someone to hug me. anticipating – jenna’s visiting in TWO SLEEPS! and mashed potatoes for thanksgiving somehow, although we will be in a hotel in virginia, i thinks. this. is. awful. you must go see more terrible engagement photos. 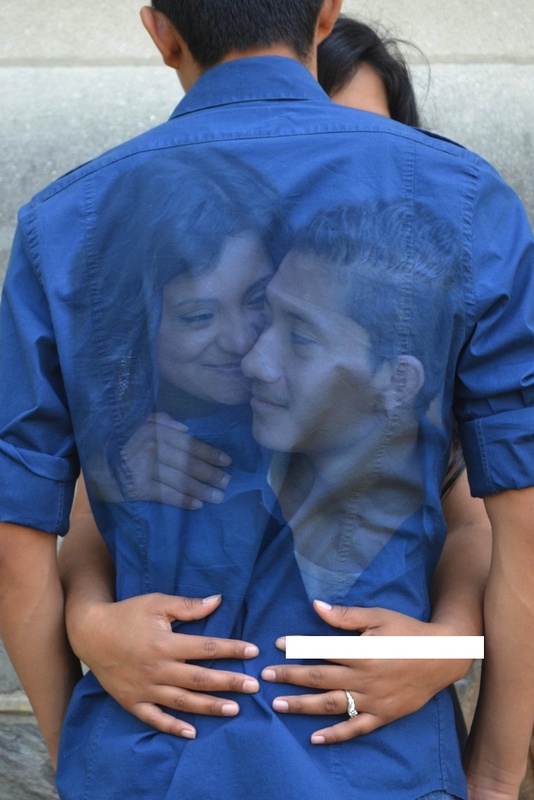 loving – the tumblr dedicated to terrible engagement photos. thanking – my friend shannon, who is encouraging and pretty. making – the decision to put my scale away in the closet. this morning, i weighed myself to decide how much i hated myself. i saw a number, and then for no real reason, moved the scale to a different place in my bathroom, and stepped on again. and instantly weighed TEN POUNDS LESS. what am i supposed to do with that? turns out you can’t let a digital number decide if you love yourself every day. new life plan – applying to MLB fancave.